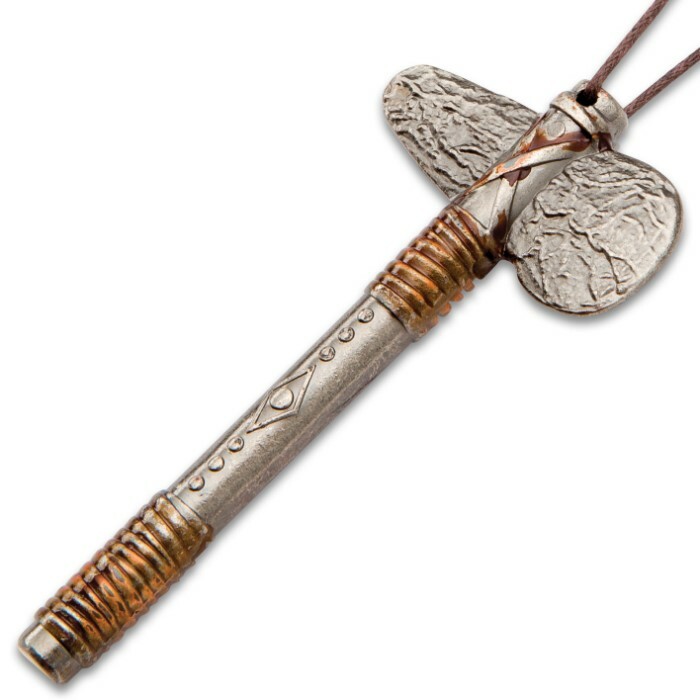 Stone Age Axe Necklace - Crafted Of Metal, Highly Detailed - 15” Wax Cord | BUDK.com - Knives & Swords At The Lowest Prices! 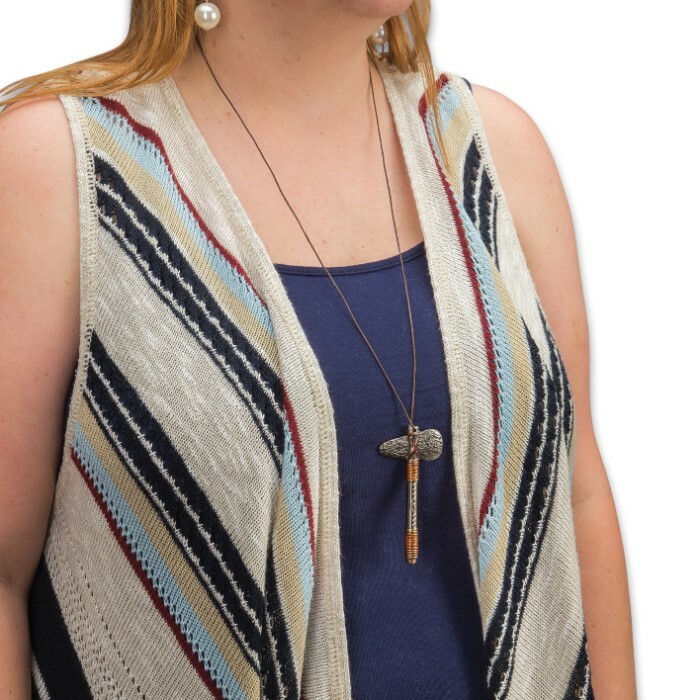 Our Stone Age Axe Necklace makes a great addition to your casual wardrobe with its rustic appeal. 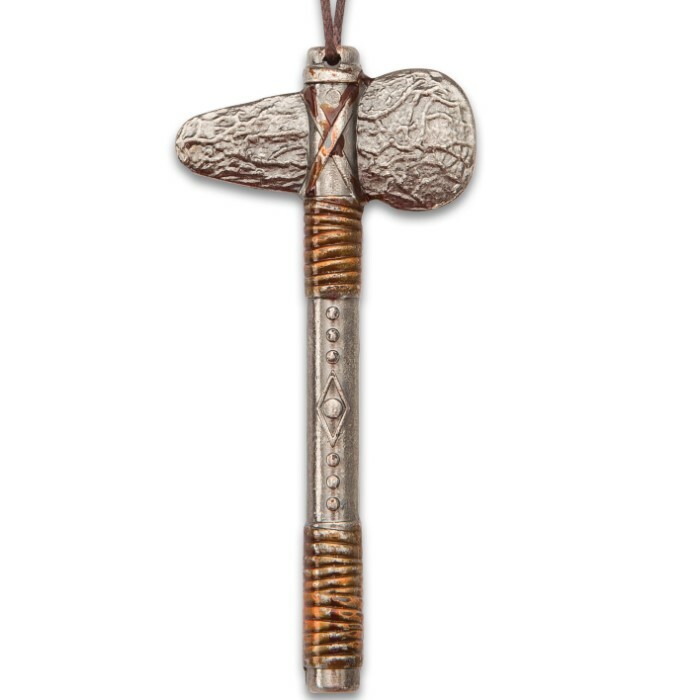 The pendant is expertly crafted from a metal alloy in a vintage pewter color and is rich with details like the stone-look texturing of the axe head and the simulated leather cord wrapped around the handle. 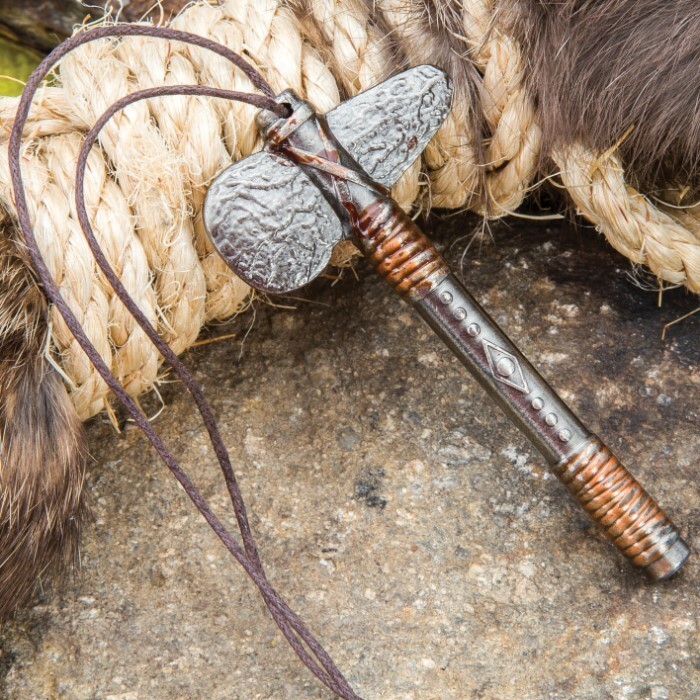 It is strung on a brown, primitive-look 15” wax cord.